What a crazy, insane, amazing week I had at NAB. I flew in last Saturday morning. Thanks to Alexis Van Hurkman’s recommendation, I stayed at Treasure Island. While there was no pirate theme in the room (bummer! ), the rooms were comfortable and the rate was really affordable. It was perfectly located for my daily walk to the FCPWORKS private demo suite, where I spent the week showing off my work in FCP X. 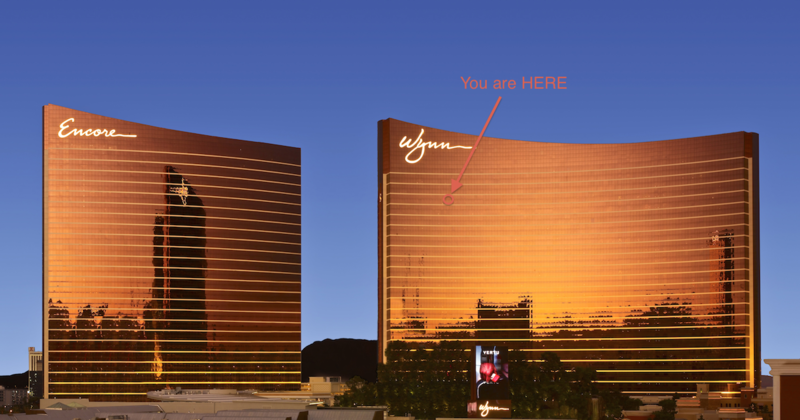 Once settled, I walked over to the Wynn hotel’s buffet and stuffed my gullet along with Sam Mestman and his dad Steve (hi, Steve!). 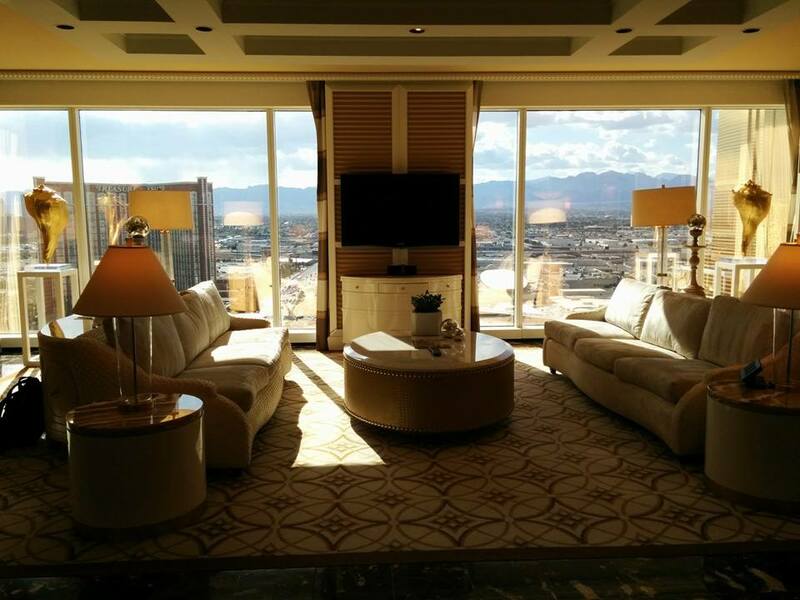 A few hours later, we were off and running, setting up this slick suite on the 26th floor of the Wynn. Forty-eight hours, one Quantum SAN and nine Mac Pro/iMac edit stations later, Sam, Darren Roark and I were ready to start demoing. On Sunday, Scott Simmons from Pro Video Coalition showed up to interview us. Can you tell I was a bit awe struck? Here’s an interview I did with a local radio station last weekend at the premiere of a documentary about Huell Howser. 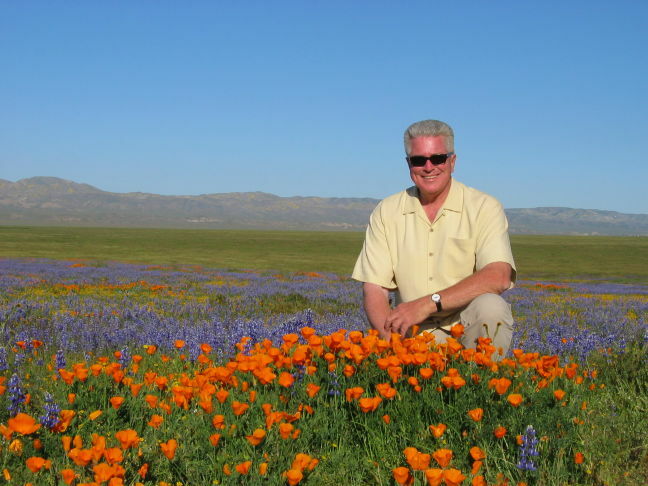 Huell is a bit of a California icon for those not from The Golden State. I edited about 500 shows with him during the 8 years we worked together. Part of what got me the job was showing off real time color correction in FCP 4.5. Well, 10 years later, I’ll be demoing real time color correction and lots more cool stuff in FCP X for FCPWORKS next week at NAB. Hope to see some of you there! Sign up for appointments here. Come visit FCPWORKS and me at NAB! Along with fellow FCP X gurus Philip Hodgetts, Sam Mestman, and Darren Roarke, we’ll be demoing broadcast, doc, news, & feature film workflows in the suite. Look forward to seeing you there! 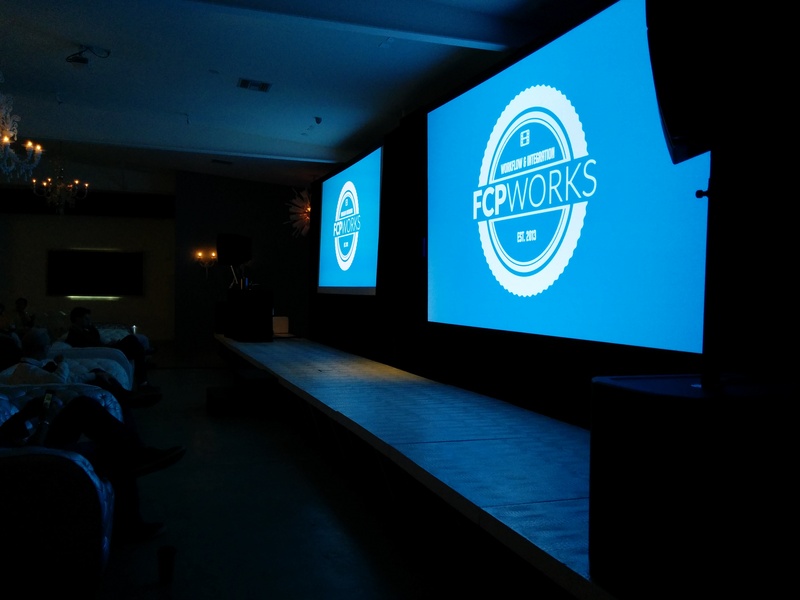 This past Saturday, I had the privilege of both attending and demoing FCP at the FCPWORKS L.A. launch event. It was a great day that harkened back to the early years of Final Cut when Apple would demo and do one-on-ones with prospective and upgrading users. What was great about yesterday’s event was not only that channel partners like AJA and Quantum were there showing full support for the new FCP ecosystem, but that Apple was there as well, demoing all the new features. The fact that there were about 10 Mac Pros chugging away was pretty impressive, too. I got to work on an 8-core all day and… holy shmoly I want one. Hi everyone! Just wanted to throw some calendar updates out there as to places I’ll be in the next couple weeks. If you are at or near one of these places, feel free to contact me. It would be great to connect with folks that have been keeping up with my blog. 1. I’m very excited to announce that I’ll be attending Sundance this weekend (1/19 & 1/20) for the premiere of the documentary that my fiancé edited, Fed Up. For info on the documentary, please visit the site here. If you are coming to Sundance and wish to attend a screening, you can find info on signing up for a wait list here. It will be both our first times to the legendary Land of Redford. I’m really looking forward to this trip. I hope to snap many amazing pictures of L.A. peeps coveting hot chocolates and lattes while wearing stylish poofy North Face jackets. On that note, we spent the past two weekends looking for stylish poofy North Face jackets and snow boots. I know it’s a chain store, but I had amazing luck finding a comfy pair of snow boots at REI. If you’re in L.A., I recommend the store in Arcadia. It’s further out, but they have a better selection than Santa Monica and the staff is much more helpful. Plus it has the added benefit of a lower sales tax rate. Santa Monica is now an insane in the crazy brains 9.5%. 2. I’ll be attending the FCPWORKS premiere event on 1/25. You can sign up here. This promises to be a great event. Alexis Van Hurkman, Alex Grossman from Quantum, Bryce Button from AJA, and Sam Mestman will be demoing their products and presenting their workflows with FCP. I’m very excited to see what Sam’s new venture will do for the growing FCP X community in Southern California. While I recognize that the world is filled with editors these days and what happens in Hollywood isn’t as big a deal anymore, I still feel that L.A. is the heart and soul of the entertainment industry. It’s great that a workflow and equipment reseller dedicated to FCP is starting up in my town. 3. LACPUG meetup on 1/29. Regster here. I try to attend these every month. This month’s meeting happens to be about… you guessed it, all the new features in FCP X 10.1. It promises to be a great event and I hope to see some of you there.